Keystone Range Hoods, built on the Cabinotch® cabinet box system, are ready to assemble. 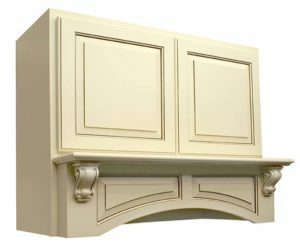 They are conveniently shipped with the cabinet flat and with the shelf and mantle preassembled to the face frame. Range Hoods may be purchased as a complete cabinet unit or as face frame only (without the cabinet box). They are also available with or without doors. Doors ordered with the hood will be shipped uninstalled, and may ship separately. 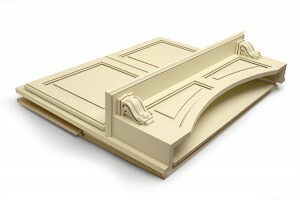 Keystone Range Hoods are available in any door style. They may be finished in any of our finishes or finish combinations, or come unfinished, ready for you to finish. We are also able to custom color match your order to your supplied sample. NOTE: Not all dimensions are available for all designs. For important details, see the RTA Range Hood Designs and Specifications page or download the Range Hood Spec Sheet. For complete quoting and ordering information, download the Range Hood Order Form.